Reinforced & Removable FinStrong and durable. 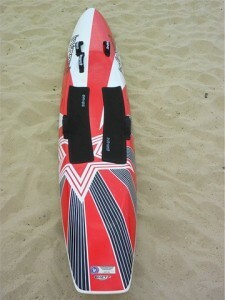 RobustHigh tech manufacturing process means the board is robust without compromising performance. ShapeHand shaped in Australia to Mark and Deanâ€™s design ensuring that every board is built to perfection. There are those who will simple need a nipper board, while the more advancved will require a diffrent group of board called Racing Mals. 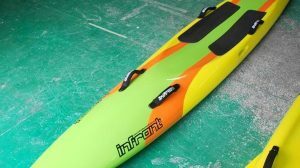 This isÂ a group of older nippers who wish toÂ advance their skills in surfing on their surf craft.Â The Racing Mals at Infront SurfcraftÂ are especially made with the ease to propel users in a most safe way.Â Racing mals are not only a preserve of the newbies. 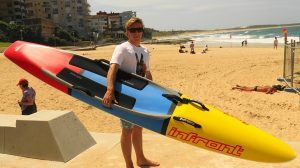 On the contrary, it is a vessel that can be used by almost any experience surf rider of any class. Its movement through water is not wanting in any way. The deck is made non slip. This is to protect those who may not yet know how well to balance themselves from slipping off. To provide appropriate propulsion to the user, it has a high performance base that makes it conquer any type of wave regardless of the prowess of the one steering it. It has to be made strong not only for it to last long, but to give relative safety and assurance to the experienced rider. Our RacingÂ Mal incorporates the use of powerful straps. These further enhance the security of the user. The nose and tail of theÂ racing malÂ are made very pronounced to ensure that the vessel gets the best chances of moving forth at the slightest nudge. They are therefore good motivators for riders who are being newly trained. 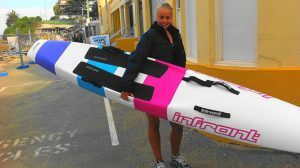 It is widely acknowledged that many new surfcraft riders prefer soft boards for the relative safety they do come with. This is because they are given the chance to have a bigger platform to balance their weights. 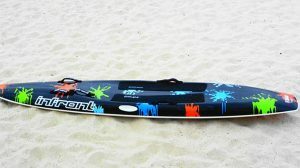 However, these boards are made in a way that gives the user the best stability that may be desired as well as the ease in movement over the water. The Racing Mal board will help even the beginner manoeuvre his way through the water mass. 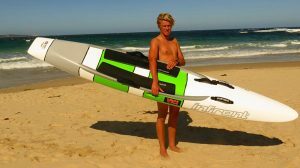 In going for surf racing mals, many people talk of the advantage of escaping the bottlenecks of having a shorter length. Turning and making other calculated movements on water is quite challenging with an extra length to think of. This helps your ability to catch a wave on which to ride. Nippers is nowÂ a very popular sport. The ocean or any other water body has never ceased to compel to people due to its beauty. The desire to have water related sport activities is ever so important. To have a safe and enjoyable surfing experience, one should consider getting this kind of surf racing mal.